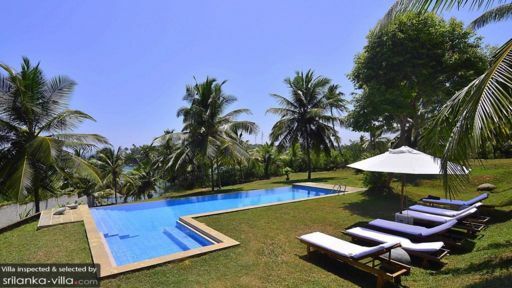 Dikwella is a small coastal town in the Matara district, located in the southern part of Sri Lanka. It is well-known for its sandy beach, surrounded by headlands and reefs, making it safe for swimming. It has only started to attract tourists in recent years as more hotels and guesthouses sprung up along the beach. 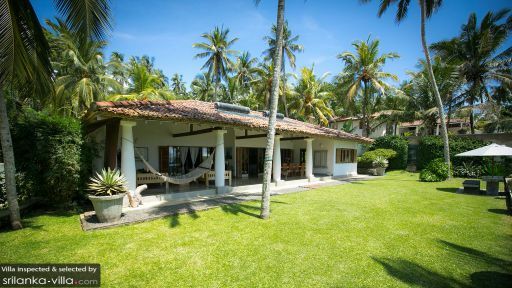 Your Dikwella villa is located in a prime location, right in beside the sea, offering stunning views of Sri Lanka’s scenic southern coastlines. 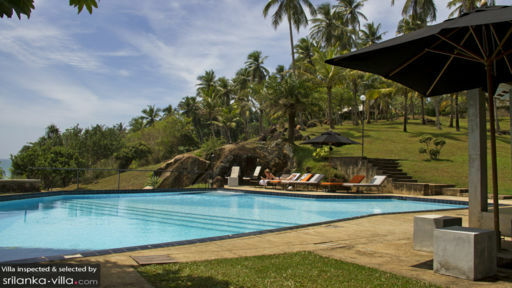 There is also an in-villa swimming pool, lush green gardens and impeccable service provided by the staff. You will definitely fall in love with this place! If you’re going for a tropical beach holiday, be sure to visit Hiriketiya Bay, one of Sri Lanka’s most beautiful beach. Over there you can sunbathe, swim and surf. It’s not over-crowded, but not empty either; it has just the right mix of crowd. Another must-visit is Blow Hole Hummanaya, the second largest blowhole in the world. If you’re in Dikwella on a Saturday, take a trip to the Dikwella Market where you can buy some souvenirs and local products.